There's something to be said for standardized hardware, and generally that something is "man, that update came in fast." 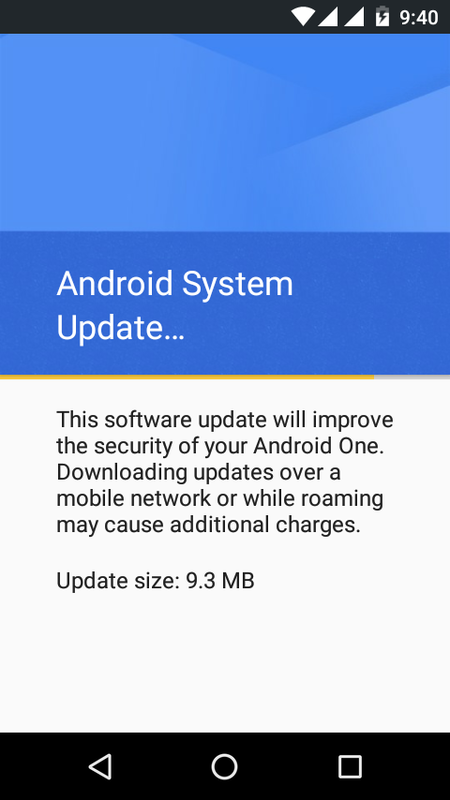 Android One Users, at in INDIA, and a long thread on the XDA-Developers forum indicate that some Android One phones are being upgraded to the latest version of Android Marshmallow January Security Update of (9.3 MB ). 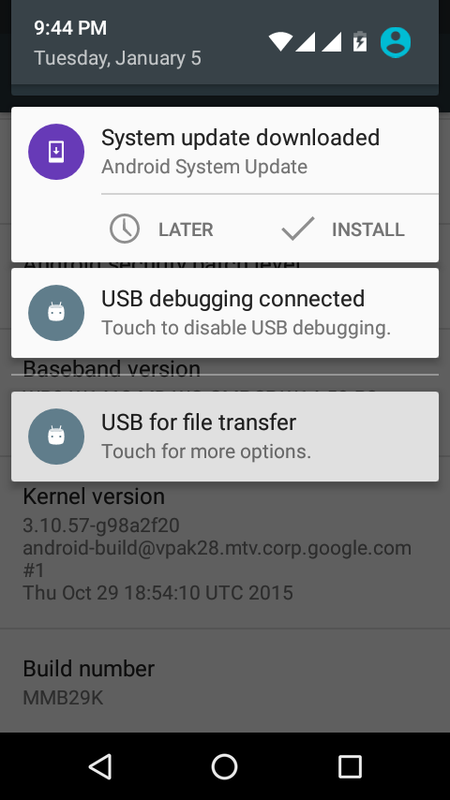 It seems a safe assumption that the update includes bug fixes and improvements to Android Stagefright Security . The monthly security update for January is starting to roll out to Nexus devices. & Android One Devices Simultaneously Factory images And OTA Update. 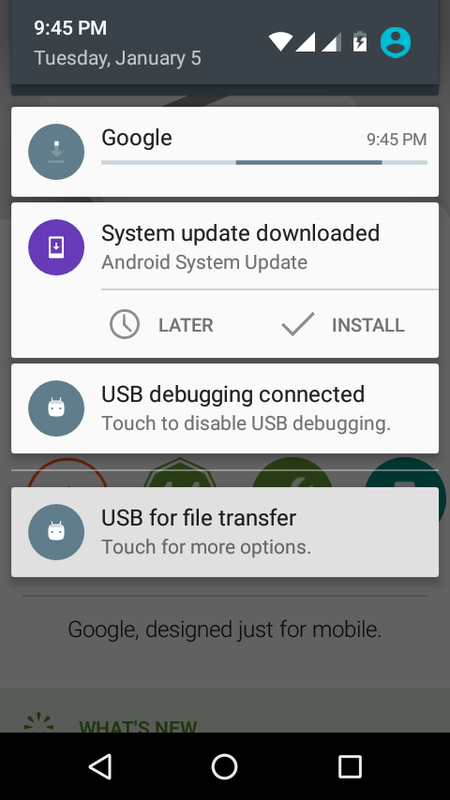 yesterday morning and now we've got some changelogs from the Android Open Source Project (AOSP) if you're interested in taking a deeper look at exactly how things have been tweaked. Unlike the 6.0.1 release in December, this month's adjustments appear to be entirely focused on security fixes. Google has a bulletin describing the relevant security issues addressed with this release..